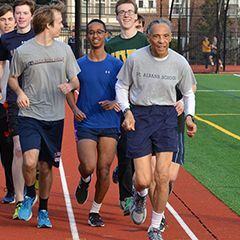 The tradition of mens sana in corpore sano — a sound mind in a sound body— is central to St. Albans School. Every student is required to take part in the athletics program, which serves to develop strengths of both body and character. Lower School boys gain self-confidence and refine physical skills by learning fundamentals in intramural and interscholastic sports. In the Upper School, the emphasis is on competitive athletics. 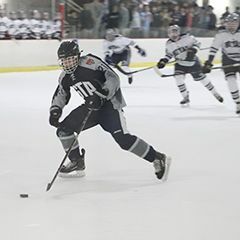 The School participates in interscholastic competitions in baseball, basketball, crew, cross-country, football, golf, ice hockey, lacrosse, paddling, rock-climbing, soccer, swimming and diving, track, tennis, and wrestling. In addition, boys have an opportunity to play intramural sports, to study dance, and to join a vigorous outdoor program (Voyageur) which operates in coordination with the National Cathedral School for Girls. 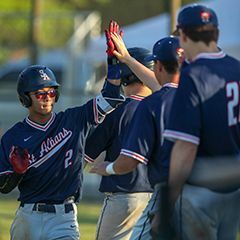 St. Albans is a member of the Interstate Athletic Conference (IAC), whose Founders' Cup for overall athletic excellence has been won by our "Bulldogs" many times over the years. All fans and visitors to St. Albans School's athletic contests should park in the Cathedral parking garage, and avoid parking on neighborhood streets. All fans, coaches and players should use the Garage’s main entrance on Wisconsin Ave., at the traffic light near Hearst Hall. Visitors should not use the Woodley Road entrance to the Garage. Ticketing and towing for illegally parked cars is in effect. Thank you for your cooperation. For more information from the Athletic Department, click here.